February 22nd, 67th minute, on a mild winter night in Porto, Marko Pjaca, Juve’s exciting summer signing, who’s impressed thousands of fans throughout Euro 2016, steps onto the pitch to replace Juan Cuadrado. Five minutes later, the young Croatian talent pounces on a loose ball, and suddenly, in a match whose score seemed unlikely to be unlocked anytime soon, despite the utmost dominance by the away team, Juventus lead 1-0. From that point on, the Turin side plays with a different flow, with a sort of relief, and with the first Champions League knock-out game ending goalless being just a memory, Dani Alves goes on to score the second goal of the game. 356 days later, Juve are once again in the Champions League round of 16, striving to win the elusive trophy. In this campaign, fate has put Tottenham on Juventus’ path to success. 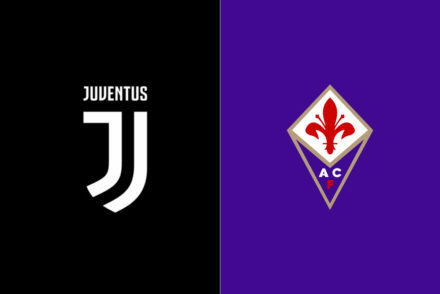 This year’s encounter is perhaps a meeting between two opposites: on one side, stands the experienced, successful and glorious club that is Juventus, whilst on the furthermost end sits Tottenham, a young, ambitious side, riding the wave of enthusiasm that has seen them, against all odds, reach the knock-out stages as first placed in a group featuring Real Madrid and Borussia Dortmund. Despite an unusually poor start to the season, Spurs are currently fourth in the Premier League (two points ahead of their London rivals Chelsea, who have a game in hand), well and truly in the race for a top four finish. Mauricio Pochettino and Massimiliano Allegri are similar managers, primarily for their flexibility. As football develops, rigid formations are slowly becoming less popular whilst focusing on the player’s characteristics, principles of play and tactical flexibility typifies the nouvelle vague of coaches. The Spurs gaffer has shown remarkable flexibility throughout the last couple of years, which includes a vast selection of fluid “systems” (Tottenham have used 3-4-2-1, 3-5-2, 4-3-1-2 and 4-2-3-1 this season) and nous to adapt players to different roles, much like Allegri. Since his early managerial days, Pochettino has always relied on a high-pressing game and in general, rigid concepts in possession and a very aggressive style off the ball; this allowed his teams to regain possession after having drawn opponents to the touchline and cutting off passing options. After all, “the touchline is the best defender in the world”, as Pep Guardiola once said. Recently, though, the Murphy native has changed his strategy, completely abandoning every rigid concept and adopting a more adaptable method to the specific situation in favor of a more passive defensive shape which looks to keep the lines compact at a high/mid-height. Tottenham’s mid-block. The defenders’ body shape shows that they’re ready to step out if a player receives between the lines or on the wings and follow a run into depth. 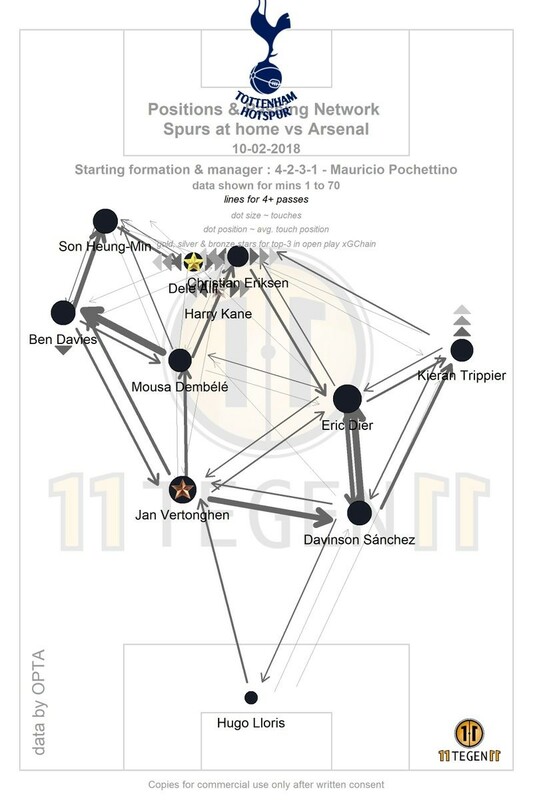 The half-spaces are a very valuable asset in Pochettino’s strategy and in football as a whole, as they’re notoriously hard to defend and can create confusion in the opposition backline on who should step out. 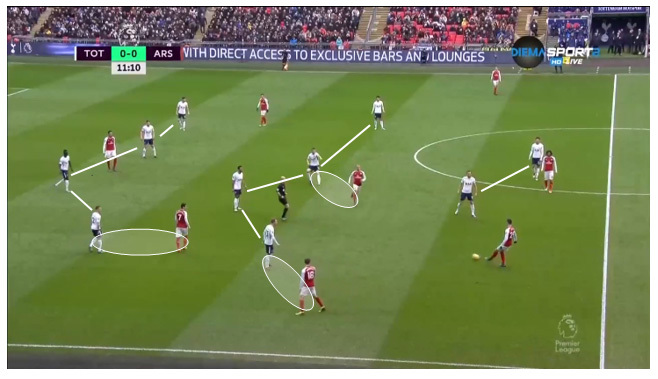 Usually the best way to counter a team that use this zone of the pitch is with a back 3, which allows a centre-back to vacate their position and mark the receiver in the half-space, without leaving exposable gaps as two defenders remain in the centre. As aforementioned, Tottenham make vast use of the half-spaces, especially with Eriksen and Davies, who are customary to use them as crossing positions, helped by well-timed runs into the box. This crossing prowess has made the North London club a threat from set-pieces, as well as the 10 goals from “set-piece play” go to show. In their attacking play, Spurs frequently use quick combinations between the lines with Eriksen, who, from his starting position at right wing, on paper, cuts inside and occupies the right half-space and basically acts as an inside forward, alongside Dele Alli, overloading the centre and thus narrowing the opposition’s shape to exploit the wings via Trippier and Son’s runs into depth. Tottenham’s forwards tend to interchange positions fluidly, in order to reduce the opposition’s reference points and facilitate progression; Eriksen often drops into midfield to organize the play; Kane roams in the final third to combine and his dropping movements draw centre-backs out of position, creating space for his teammates’ runs which he meets with pinpoint passes; Son provides width on the right-hand side and Alli, the raumdeuter, (a player with great special intelligence and reading of the play adept at locating pockets of space in the attacking third to run into) positions himself between the lines to receive and attack the goal – a situation in which Alli becomes a serious threat, thanks to his great ball carrying ability. Furthermore, Dier assists the build up by positioning himself between the two centre-backs, who then spread out, a tactical concept known as “Salida Lavolpiana”, and the physically imposing and adroit dribbler Dembele waltzes through the midfield. If there’s a defensive system that can stop Tottenham’s attack, it’s Juventus’. Allegri’s side has only conceded one goal in their last sixteen outings and just 5.27 expected goals in 11 Serie A games, displaying an excellent organization off the ball after a slow start to the season. 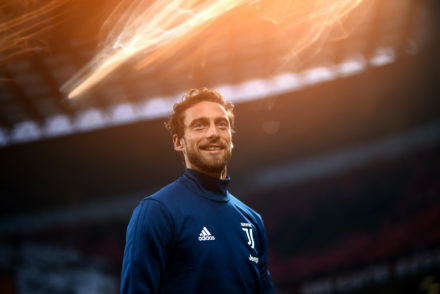 This rediscovered solidity at the back, is ascribable to the additions to the starting lineup of: Matuidi, whose ability to cover the entire width of the pitch dynamically has been crucial to Juve and Benatia, who, injury-free, has been able to play and perform consistently, adding physicality, speed and dominance in individual duels against forwards. When Juve faced teams that make the half-spaces their bread and butter, such as Napoli, for example, even if with different purposes to Tottenham – Napoli’s occupation of half-spaces has the objective of manipulating the centre-backs into stepping out to attack the vacated space with third man runs – they defended in a compact 4-4-2/4-5-1, focused on cutting passing lanes into central areas and thus forcing the opposition into a horizontal circulation, making them unable to create positional superiority. 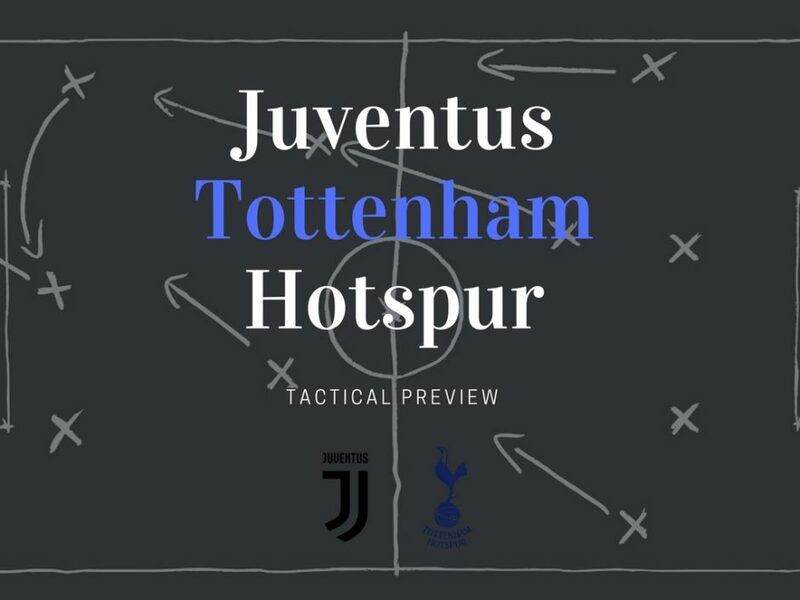 Against Tottenham it’s likely for Juventus to use a 4-5-1 deep block out of possession, in order to shift from one side to the other effectively whilst covering the half-spaces. Tottenham’s centre-backs are all competent at carrying the ball past opponents and finding teammates behind the lines of pressure with precise passes. Toby Alderweireld and Jan Vertonghen are, after all, Ajax youth products, a club that historically trains youngsters to build up from the back, and even when under intense pressure they’re capable of picking out Harry Kane who acts as the target man and the key to progression. In this respect, Alderweireld’s absence shouldn’t be underestimated, as Sanchez, another Ajax youth product, isn’t as skilled on the ball as his Belgian partners. Juve could therefore target Sanchez, trying to force errors from the Colombian by directing the build-up towards him and closing down his passing options. Finally, Harry Kane, the deadly striker who’s outscored Messi and Ronaldo in 2017, will have to be carefully marked by Chiellini and Benatia, who will have to alternate anticipating movements, in order not to allow the Englishman to turn, to depth cover. When Juve face a team in Serie A, they usually have to dismantle a deep block. Managers know the risk of taking the game to Juventus (Sassuolo’s 7-0 defeat was the proof), so they prefer to embrace a more defensive approach, merely focusing on closing down spaces and ready to sporadically hit on the counter. Therefore, Allegri’s team usually tries to switch the play from one side to the other, awaiting the first gap to open and clinically take advantage of it. However, Allegri’s notorious for his ability to sew the right tactical dress for his teams, taking into consideration the opposition’s strengths and weaknesses; thus, if the home side were to set up in a deep block to nullify Tottenham’s offensive weapons, then a player that was very useful in the Bianconeri’s win over Napoli back in December, Douglas Costa, would definitely come in handy. Juve’s players aren’t suited to a counter-attacking style, as demonstrated multiple times this season, but Douglas Costa’s ability to carry the ball and dribble past opponents with ease could prove to be key if Madama wants to progress to the quarter-finals. Due to the nature of Spurs’ asymmetric shape, with Trippier constantly overlapping and leaving his flank exposed to counters, Allegri could field Costa on the left to exploit the vacated space and Mandzukic as an outlet on the opposite wing to use his aerial prowess as a tool to evade the press and as a target of the Brazilian winger’s crosses. Tottenham defend in a vertically compact 4-4-2 high/mid-block that shifts as a unit based on the ball’s position and tries to prevent play from progressing up the middle, thus enticing the opponents into long-balls which the high defensive line deals with easily, thanks to Davidson Sanchez’s speed. Pochettino also likes to adapt his defensive structure to the opposition’s weaknesses with slight adjustments, such as pressing triggers; it wouldn’t be a surprise if Spurs were to press Juve’s midfielders and goalkeeper following a back-pass or if the wide players stepped out aggressively when the full-backs and wingers received possession . 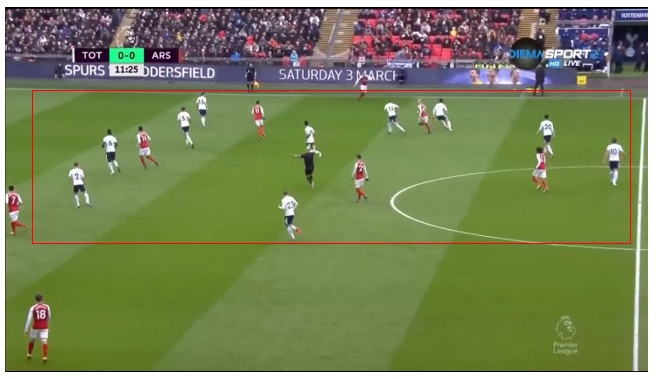 On the other hand, if the North London side played a counter-attacking game, defending more statically, keeping in mind that the return leg is at Wembley, the Bianconeri’s ball circulation would have to be fast to overload the strong side and thus create a 1v1 situation on the opposite wing, whilst slowly pushing Tottenham deep into their own half; a situation during which the English side struggle, due to the instinctive nature of their defenders, prone to errors and misjudgments when defending their penalty box. Both teams are missing important players, absences that could weigh negatively on the final result. Juventus will have to do without Matuidi, whose work-rate and dynamicity allow him to cover holes in the structure, leaving Allegri with some concerns. This will seemingly force him to field a player with similar characteristics to the Frenchman in Sturaro, or a less dynamic, yet still a good ball winner and technically competent midfielder like Bentancur. Dybala won’t be available either, and whilst his exclusion is less costly than Matuidi’s the Argentine’s ability to receive between the lines would have been a very useful tool. Experience vs. Enthusiasm. What awaits both teams and the respective fans is an awe-inspiring Champions League night that will see two chameleon-like managers face off against each other. A must-watch for all lovers of the beautiful game.